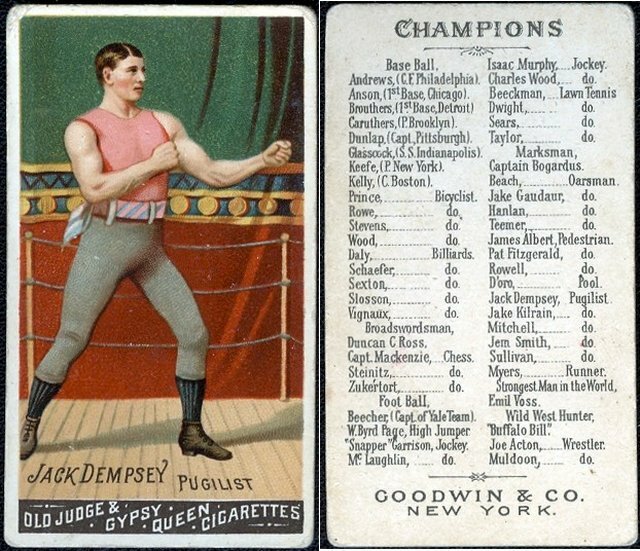 N162 Old Judge & Gypsy Queen Jack Dempsey. No, this is not the heavyweight champ. This is the original Jack Dempsey, a great middleweight champ nicknamed the Nonpariel. The other fellow is William Harrison Dempsey. He took the name in tribute to the Nonpariel and it stuck.